The Christmas in Naples brings a colorful, lively atmosphere in the streets of the city, with its folklore and artistic sense. In a few words, it is an explosion of senses: music, vitality, traditions and perfumes make the city one of the most fascinating in Italy. 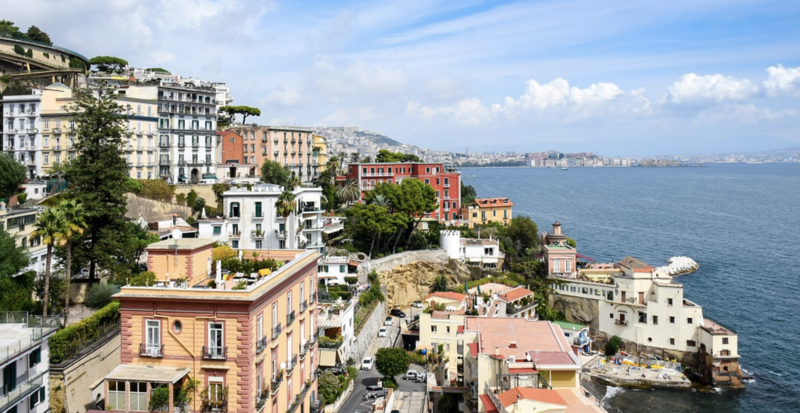 Museums, authentic experiences, typical food and historical sites: it is absolutely worth spending a day in Naples and be informend, or at least advised, on a guided itinerary to better explore the town. These are the best things you can’t-miss in Naples at Christmas! From the beginning of December, Neapolitans are getting ready to celebrate the Christmas season in the best possible and traditional way.Celebrations start everywhere in town and reache their peak in the heart of the old town, where you can breath a surreal and magic atmosphere. Known throughout the world for its Neapolitan nativity scenes, San Greogorio Armeno is the street where Neapolitan craftsmanship reaches its peak. From sheperds to houses, food stands, wooden accessories, fruit baskets and domestic settings you can find all the hand-made masterpieces created from generations of master artisans. 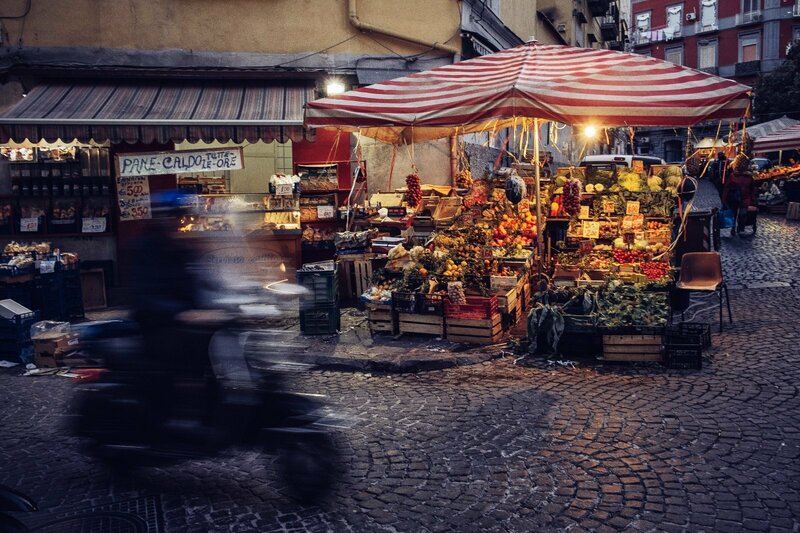 Located in the heart of the ancient city, between Via del Duomo, Via dei Tribunali and today’s Spaccanapoli, you will be fascinated by the ancient and popular flavor that you can breathe while strolling through the alleys and shops. After a walk in the historic center, we suggest you to visit one of the places of interest that most suit your enthusiasm. 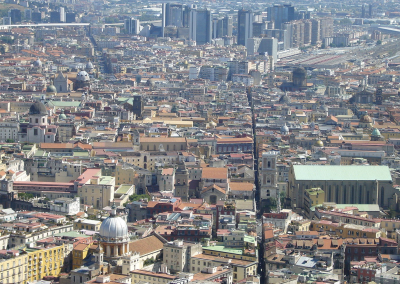 Literally meaning “Naples splitter” since it seems to divide the city in two parts, it’s a main street in the historic centre of Napoli, next to via San Greogrio Armeno. It’ really a worthwhile neighborhood to explore: take some time and enjoy its amazing corners and palaces, lovely people, smells of pizza oven and bakeries. A lies of tunnes, tanks a cavities set in the underground of Napolii, this fascinating tour through Greek/Roman tunnels, subsequently used as bomb shelters for up to 270,000 Neapolitans during the allied bombing in WWII, form a real city. 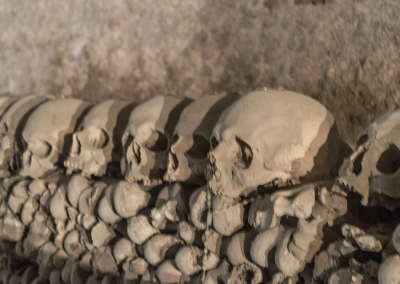 Il cimitero delle Fontanelle Set in La Sanità, the Cimitero delle Fontanelle is one of the most memorable and astonishing sights to visit in Naples. 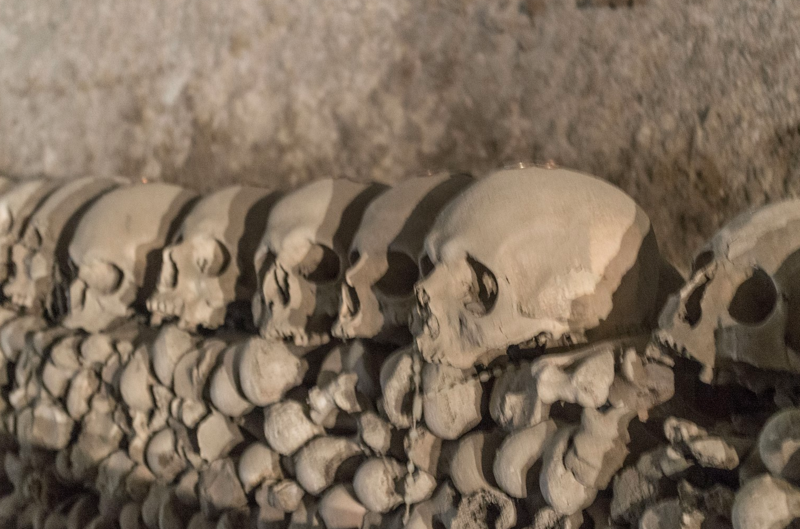 Considered a gem, it is an underground cemetery that keeps the bones of people who died in epidimics in the city during last few centuries. 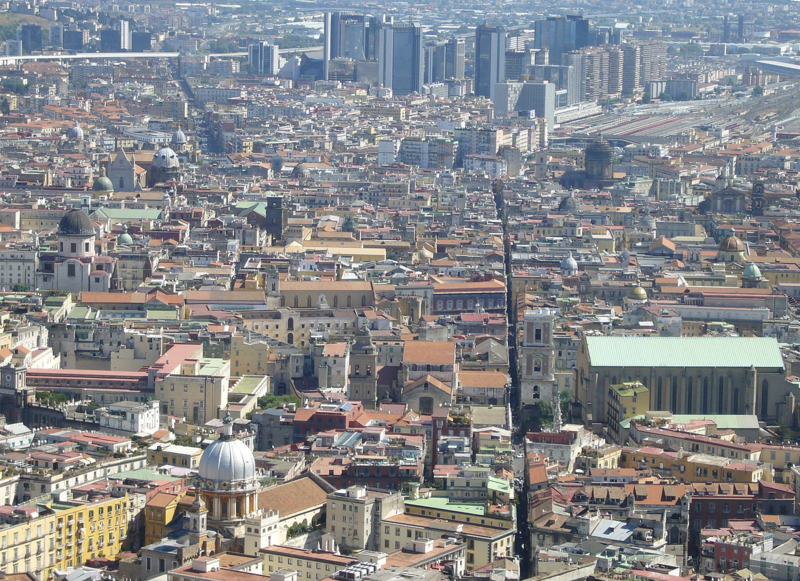 The DuomoThe Duomo of Naples is a gothic building from the thirteenth century and is dedicated to the patron saint of the city, San Gennaro. 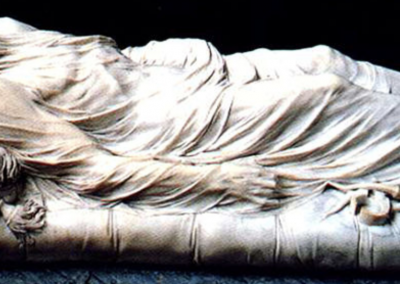 If you are in Naples the first Saturday in May or on the 19th of September, be sure to arrive at the Duomo early to witness the temiracle of San Gennaro, the liquefaction his blood. Next door to the cathedral, the Museo del Tesoro di San Gennaro‘s is considered one of the greatest treasure in the world and contains a great collection of silver artworks, reliquaries and jewels donated from all the most powerful European figures of the last 500 years. San Severo’s ChapelConsidered from many the the number one attraction in Naples, you will understand the reason when you see the incredible veiled Christ statue, a surreal rendering of Christ in marble surrouned by paintings on the dome, statues and a magnificient old tiled floor set in the Museo Cappella Sansevero. A great spot for art lovers, Santa Chiara complex includes the Church, the Monastery and the Convent. 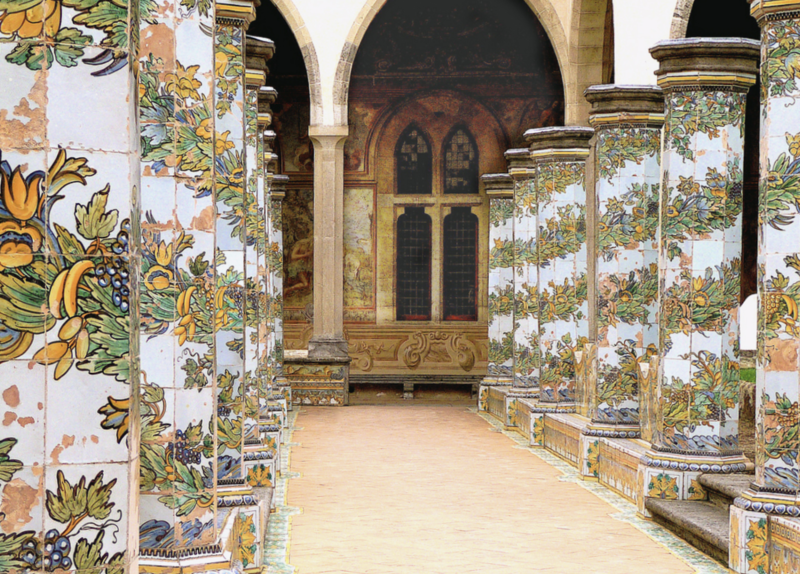 If you wanna stop for a relaxing hour, sit at the gorgeous gardens filled with Majolica-tiled pillars to enjoy the peaceful atmosphere and the beautiful artwork on the walls, in complete contrast to the hustle and bustle of the old town. After walking all over the old town and visiting some of the above spots, there is nothing better than a Neapolitan pizza. 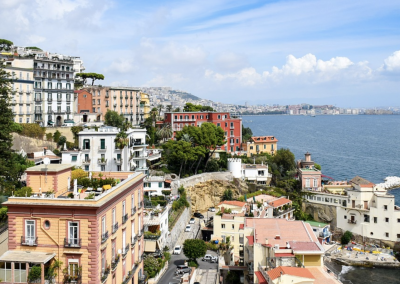 Nowhere else in Italy is pizza so much part of the culture as it is in Naples, where you can find the one of your dreams. Where to stop for the best pizza in the old Town? One of the several excellent pizzerias in the old town and probably Naples’ best is Sorbillo in Via dei Tribunali 32. No reservation, long line but waiting is worth it.